October saw Minister Steven Joyce in overdrive on Innovation Policy releases. First as Minister for Science and Innovation, he launched the National Statement of Science Investment 2015-2025 and a little bit later, as the Minister for Economic Development, he also launched the “Building Innovation” Chapter of the 2015 Business Growth Agenda. Both documents have a consistent message for our industry and show the benefits of being driven by one Minister’s voice. The most important message for us is the Government’s commitment to the high level goal: “Encourage New Zealand’s business sector to double its expenditure in R&D to 1% of GDP”. 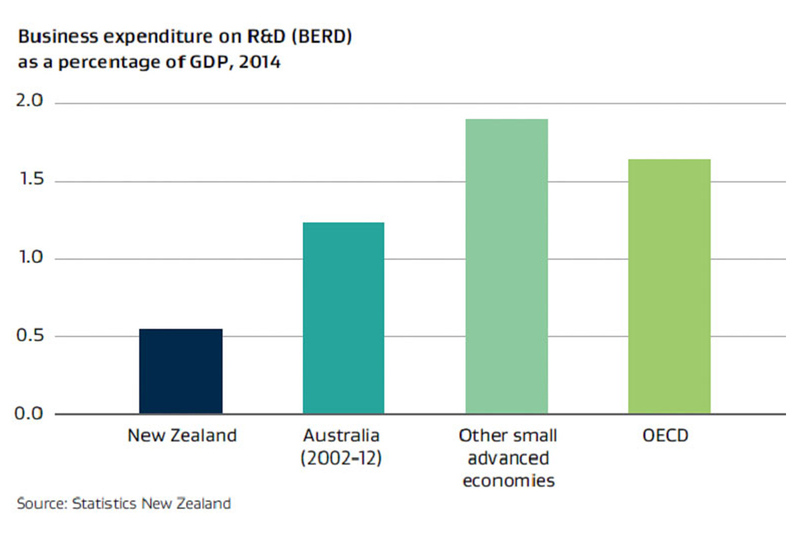 The shown 2014 BERD graph tells it all, we are at a third of the OECD average and half of Australia, although I question some of the statistics considering that with the New Zealand lack of R&D incentives such as R&D tax credits, we are unlikely to get all our NZ BERD activity reported. But as the figures stand, they really should get us all motivated. From our industry research association’s perspective, this is the right goal and associated strategies to have, and I congratulate those formulating these and wish to advise that this is what HERA and Metals NZ supported in our submissions and policy statement. Now to policy implementation as this is where I feel Government needs our co-operation and supportive persuasion most. After all, it is business that is expected to double its expenditure while, if I go by practical experience and reading between the lines, Government would like to achieve this with a next-to-nothing budget (see also the next story why industry R&D funding from industry levies does not qualify for co-funding). The main vehicle is the Callaghan Innovation (CI) R&D growth grant support. Growth in the CI grant to $161.5 million per year is noted. Divide this by any number of NZ businesses you believe should invest in R&D, and the result in co-funding is next-to-nothing per company, especially when you consider that the 485 high-tech firms listed having increased their R&D investment via this mechanism likely swallowed the majority of this already. Great goal but can we win here solely based on the attractiveness of New Zealand as a destination, e.g. when comparative countries such as Australia have an R&D tax credit scheme where you can claim 45% of your R&D tax expenses back without having to go through complicated application hoops? I look forward to seeing what the Government can throw into the ring to win overseas R&D business to NZ. Spot on – nothing to add. Again as a strategy, it finds my support and with the right directive this indeed can be a great tool to end up with an increased BERD and also achieving fantastic discovery outcomes. 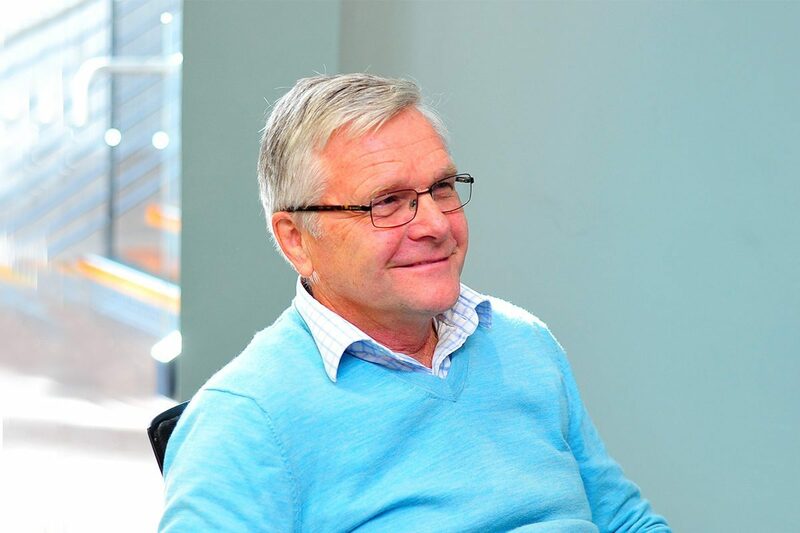 But having worked tirelessly as an industry representative on largely researcher-driven national science challenge programme formulation or observing how CRI and university core funding programmes are put together, the great challenge remains to integrate businesses in a way that they take over in driving research and in the process lift their own BERD. It’s a strategy in which already great achievements were made and the continued focus is justified. We already see good numbers of those people absorbed in our industry and with more focus on developing some of those into innovation drivers and leaders, this will be a very effective tool. So let’s all get behind the Government in respect to its Innovation Strategy and in order to achieve the BERD goal, let’s support the decision makers to become real in terms of government investment required to leverage more future employment and tax income from companies who are driven by innovation.